Aeration by airflow technology is a reliable method to accelerate waste biodegradation and stabilization and hence shorten the aftercare period of a landfill. To simulate hydro-biochemical behaviors in this type of landfills, this study develops a model coupling multi-phase flow, multi-component transport and aerobic-anaerobic biodegradation using a computational fluid dynamics (CFD) method. 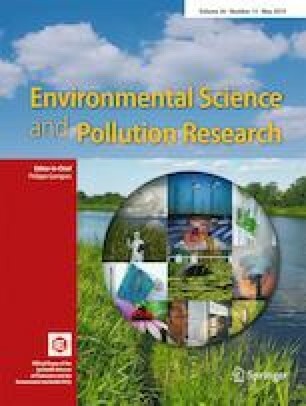 The uniqueness of the model is that it can well describe the evolution of aerobic zone, anaerobic zone, and temperature during aeration and evaluate aeration efficiency considering aerobic and anaerobic biodegradation processes. After being verified using existing in situ and laboratory test results, the model is then employed to reveal the bio-stable zone development, aerobic biochemical reactions around vertical well (VW), and anaerobic reactions away from VW. With an increase in the initial organic matter content (0.1 to 0.4), the bio-stable zone expands at a decreasing speed but with all the horizontal ranges larger than 17 m after an intermittent aeration for 1000 days. When waste intrinsic permeability is equal or greater than 10−11 m2, aeration using a low pressure between 4 and 8 kPa is appropriate. The aeration efficiency would be underestimated if anaerobic biodegradation is neglected because products of anaerobic biodegradation would be oxidized more easily. A horizontal spacing of 17 m is suggested for aeration VWs with a vertical spacing of 10 m for screens. Since a lower aeration frequency can give greater aeration efficiency, a 20-day aeration/20-day leachate recirculation scenario is recommended considering the maximum temperature over a reasonable range. For wet landfills with low temperature, the proportion of aeration can be increased to 0.67 (20-day aeration/10-day leachate recirculation) or an even higher value. The work was supported by the National Natural Science Foundation of China under Grant Nos. 41725012, 41572265, and 41661130153; the Shuguang Scheme under Grant No. 16SG19; and the Newton Advanced Fellowship of the Royal Society under Grant No. NA150466.